Summer 2000: Launch of the Nova Scotia Water Trail (Lunenburg to Halifax) and its guidebook. A major EAC project. Summer 2000: EAC hosts the First International Symposium on Deep Sea Corals, a conference attended by 120 scientists, environmentalists, government employees, fishers, artists and citizens, from close to 20 countries. Truly a world first! Fall 2000: Start of TIC's Bike Again! project, which fixes up donated bicycles and lends them to the community. Fall 2000: EAC holds a workshop on salt marsh restoration, the beginning of our involvement in a highly technical (and muddy!) subject. This major project involves fieldwork, community outreach, public education, and school programs – all part of our effort to protect and restore salt marshes and tidal rivers in the Minas Basin. May 2001: EAC's third international conference, organized by a sub-committee of MIC. The topic: ballast water and the invasive species therein. Summer 2001: With the assistance of the Sierra Legal Defence Fund, EAC seeks a judicial review of a decision by the Department of Fisheries and Oceans to open Georges Bank to groundfish draggers. Fall 2001: Coastal Issues Committee established to promote coastal conservation and sustainable coastal communities. After a long hiatus, the Energy Issues Committee is re-established. Its first venture: selling energy-efficient light bulbs. Fall 2001: EAC celebrates 30 years of existence with nostalgia and a slap-up dinner. 2002: Launch of Coastlines, a weekly nature column published in many Nova Scotian community newspapers. We fight oil and gas exploration leases off Cape Breton (especially the use of seismic blasting), hold the first of our summer hikes on Crown lands, obtain stable funding for a Public Lands coordinator, and launch Standing Tall, a forestry project. 2002: Our participation in Active and Safe Routes to School, a national program, begins. Other transportation initiatives include an anti-idling program. We also establish two new committees: Urban Issues and Food Action. 2003: EAC is the lead agency in a new enterprise – the Halifax Harbour Watershed Coalition Project – that aims to coordinate research on watershed management and source control. Students of Saint Mary’s University, Halifax, vote in favour of a universal bus pass after a year of work by EAC, SMU students and Metro Transit. And the main speaker at a large fundraiser in June is David Suzuki. 2004: In January we present our arguments against dragging on Georges Bank before a Federal Court judge. The judge subsequently (August 2004) finds against us (thus for DFO), but awards no costs. In January we also hold an exhibition of bicycle art. Spring 2004: The N.S. Dept. of Transportation agrees to replace the culvert at Cheverie Creek, our pilot salt marsh restoration site; the Halifax Regional Municipality awards us the contract to administer the city’s pesticide bylaw program for the 2004 season; and we hold a workshop on ocean zoning. Fall 2004: We hold our first Harvest Food Festival, and 100 Nova Scotia schools take part in International Walk to School Week under the direction of Active and Safe Routes to School – an all-time high! And Standing Tall gains a full-time coordinator. 2004: Other ongoing stories are our fight for strict legislation controlling all-terrain vehicles and against unsuitable development, both urban and coastal. The EAC is voted #1 Activist Organization by readers of The Coast: the first of several times we win this annual award. July, 2005: Old, polluting vehicles are scrapped in return for incentives such as bus passes and bikes thanks to the Ecology Action Centre’s new program, Steer Clean. We purchase a building in North End Halifax from the O’Malley family. Over the next nine months, thousands of volunteer hours will go into renovating this building. Summer, 2005: The Garden Mentors project pairs seniors with youth to create gardens in the city. October, 2005: The Marine Issues Committee partners with the Living Oceans Society and Oceana to “drag” a trawl net, rock hopper gear and trawl doors to Ottawa to demonstrate on Citadel Hill. November 2005: A culvert large enough to allow a more natural tidal regime replaces the old undersized one at Cheverie Creek, a major step for this project. January, 2006: The Saltmarsh Restoration Project in Cheverie Creek, Hants County, is awarded the “Visionary Group Award” by the Gulf of Maine Council. April, 2006: TRAX holds an Open Streets Festival. Over 600 people attend to support community and active transportation. 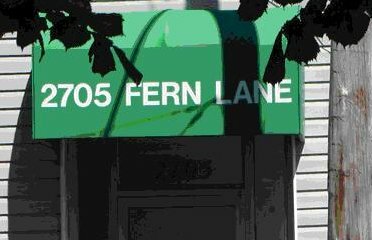 May 1, 2006: We settle into our very own, eco-renovated home at 2705 Fern Lane. This home becomes a working demonstration of a green renovation, and we begin to give tours of the building to the general public. September 2006: Making decisions at the fish counter becomes easier for Canadians when the SeaChoice program - educating consumers on sustainable seafood choices through a wallet-sized card and a website - is launched by Sustainable Seafood Canada, a coalition which includes the Ecology Action Centre. Fall, 2006: Every morning for over a month, Marine Issues Committee representatives stand at roadsides holding signs in support of a United Nations moratorium on high seas dragging in international waters. A blog features pictures of Canadians - including David Suzuki and Farley Mowat, as well as several politicians, scientists and fishermen - in support of the campaign. Despite all this, on December 8, the United Nations (U.N.) General Assembly fails to agree on high seas bottom-trawling. 2006: We commemorate our 35th anniversary throughout the year with such events as a July Street Party and a September 1920s Soiree. 2006-2007: The Energy Issues Committee spreads the word on climate change by showing “An Inconvenient Truth” - followed by a discussion - to communities and schools around the province. Winter, 2007: Active & Safe Routes to School’s Pace Car program asks parents and other residents to slow down to the speed limit in school zones, making it safer for kids to walk to school. February 2007: The Urban Issues Committee reinvents itself as the Built Environment Committee. March 2007: Despite much public opposition and a hard fight from the EAC, Keltic Petrochemicals Inc. gets provincial approval to build a Liquefied Natural Gas plant in Guysborough County. Fall, 2007: The Under 2 C campaign and blog educate the public on Climate Change in preparation for an international Kyoto Conference in Bali in December. November, 2007: The Food Action Committee hosts its first Musicians for Farmers event, successfully pairing local food and music to raise funds and awareness for Heliotrust. January, 2008: Thomas Homer Dixon is the guest for our 2nd Annual Speaker Lecture. May 2009: EAC accepts the national Arthur Kroeger College Awards for Public Affairs. 2009 The Fossil Fools Film Fest, organized by the Energy Subcommittee on Public Education (eSCOPE) shows 5 energy consumption themed films on three evenings. Spring 2009: RAC hosts theBirds Are Back Celebrity Challenge, raising awareness about the role of birds in the ecosystem. Celebrity participants include John “Mr. Lahey” Dunsworth, MP Megan Leslie, MLA Andrew Younger, City Councilor Dawn Sloane, Nick Wilkinson of Gypsophelia, Ben Stone and Susan LeBlanc-Crawford of Zuppa Circus, and several others. 2009 Birch Cove Blue Mountains and Ship Harbour Long Lake are designated wilderness protection areas, bringing the total provincial land area designated protected to 8.7%. Summer 2009 The Halifax Landshare project debuts, connecting gardeners with those with land to spare, and the Urban Garden project helped community gardens across the city. September 2009: Halifax Regional Municipality votes to immediately phase out the purchase and provision of bottled water in City Hall and ensure access to public tap water in all HRM facilities. October 2009 About 115 schools across Nova Scotia take part in Walk to School Month. Students learned about the physical activity, safety and environmental benefits of walking to school. creating relationships and sharing knowledge between gardeners and food enthusiasts by planting garlic and fall rye in community gardens, canning pears, baking sauerkraut cupcakes, and savouring the harvest with new Canadians from all parts of the world, seniors with long term NS roots, and students at Halifax schools.